Please join us for the launch of Reading with hands in pockets and the opening of new works by artist Sophie Loss on Saturday 10 October 2015. Reading with hands in pockets is a set of books of one leaf, recto/verso – a synchronic moment on two sides, which have been tucked in amongst Bökship’s stock. These are accompanied by a video piece Posing for Lemoine, and a sound piece of two distinct tracks – one then/or the other. 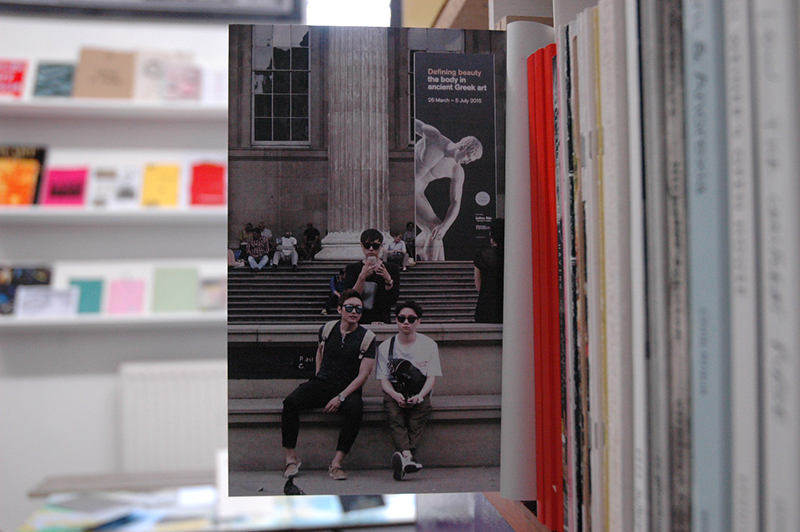 Also on display is a selection of other bookworks by Sophie Loss. Sophie Loss’ work reflects her interest and excitement in ‘what if’ situations, occurrences in which one thing meets another, a superimposition that may lead to incongruity. The bookworks and intercalations will be on display from Saturday 10 October until Friday 23 October 2015. The cocktail ‘ Reading with hands in pockets’ will be served with a straw during the event.